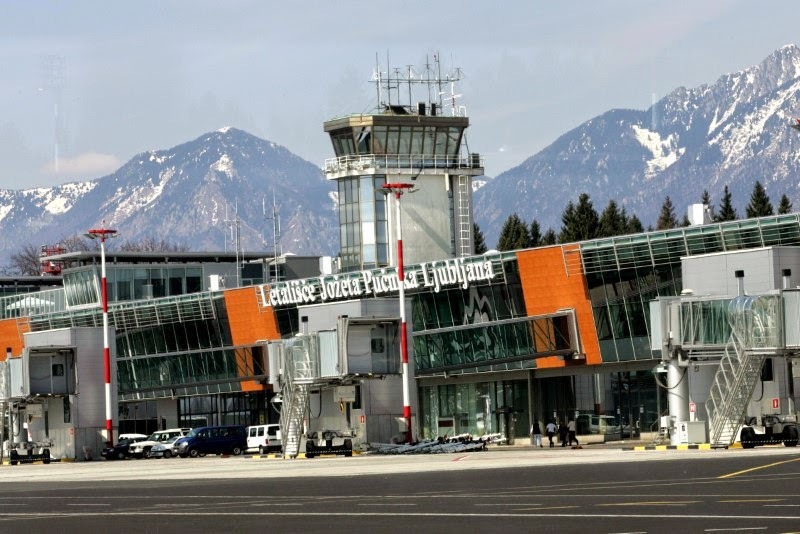 Ljubljana Jože Pučnik Airport has seen its passenger numbers surge in April and is now close to overtaking Skopje Alexander the Great Airport, which has been outperforming its Slovenian counterpart throughout the year so far. Macedonia’s busiest airport handled 109.741 passengers, an increase of 3.9% compared to the same period last year. It is the first time since January 2013 that Skopje Airport has not recorded double digit growth. Wizz Air has generated most of the growth so far as it launched four new routes last April. As a result, for the first time in a year, Skopje has had roughly the same amount of flights operated by the low cost carrier as it did the year before. However, Swiss International Air Lines introduced two weekly services between Geneva and the Macedonian capital during the month. Overall, the figure still represents the airport’s busiest April on record. During the first four months of 2015, Skopje Airport welcomed 373.552 passengers, an increase of 20.6% compared to the same period last year. The growth rate is expected to pick up again in late June, when Wizz Air launches flights from Skopje to five new destinations and further increases frequencies on existing services. On the other hand, Macedonia’s second international airport, Ohrid, handled 1.592 travellers during the month, up 6.7%. So far, Ohrid has registered 5.827 passengers. Late last month, Conrendon Airlines launched charters from Amsterdam to Ohrid, while Air Berlin also inaugurated charter flights from Vienna. Yesterday, TUI Belgium operated its first seasonal summer service from Brussels to Skopje via Ohrid. Meanwhile, Ljubljana Jože Pučnik Airport, which has seen a slow start to the year, has recorded a strong surge in passenger numbers. In April, it handled 112.310 travellers, up 13.3% on last year. The number of operated flights increased by 4.1% to 2.693. 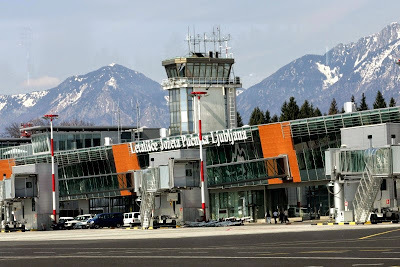 During the first four months of 2015, Slovenia’s busiest airport has welcomed 348.573 passengers through its doors, an increase of 3.8% compared to the same period last year. This is despite a decline in the number of operated flights by 2.5% to 9.329. Ljubljana Airport is now closing in on its Macedonian counterpart and is 24.979 passengers behind. This year marks the first time that Skopje has been ahead of the traditionally busier Ljubljana Airport. Except for Ljubljana everyone is having a really horrible April. Yes I wonder what is the reason. It can't be Easter. Is it just that our standard has gone down. It says in the article that Wizz Air started new routes in early April so this is the first time that there are no additional flights by Wizz. This is SKP's actual real growth. 40% growth from before was because there was 50% more flights. Just like you got BEG's real growth this month as well. BEG growth was 'not real' last April, not this one. It is very easy to grasp when you compare 2014 to this year - last April was an anomaly and had it been in line with average growth of 2014 this April would have grown over 10% too. To your disappointment, sadness and depression it is my duty to inform you that BEG will return to >10% growth this May and SKP will probably return as well. They haven't died and their stories haven't ended. Please accept my condolences. So much for predictions that Skopje would even take over Pristina this year. I wonder how the political crisis in Macedonia will affect Skopje. I'm afraid that nay new government will say: why the hell are we paying Wizz Air for all of this. Especially if you have to fix your public finances. Wizz Air is no longer being paid anything for the first two based aircraft. Is that what your crystal ball tells you? Don't rub it too hard. You might overheat. Wizz Air is getting paid for the third aircraft + for ohrid flights extra. Your invincible logic also implies MEB3 fairytale will come to an end because it is 'unnatural and propped up by the state'. Jeez... one month of single-digit growth and all bitterness and evil start erupting. You lot should learn to curb it at least for 2-3 months so that you can have some assurance on your wet dreams. One months means nothing and you would have known it if you knew any statistics. Well ASL numbers have still increased by like 10%+ ( there is stat posted somewhere on this blog) so I don't see what all of you are talking about. I assume foreign carrier under performed so that is why BEG is at 4%. Da li ste vi normalni, Skoplje je ispred Ljubljane zasada za prva tri meseca. Videcemo kako ce dalje. OT : As someone asked few days ago about load factor on LOT flights to BEG - Today's flight LOT571 has LF of slightly above 50 %, on E175 jet. Makes sense they wanted to introduce the ATR there at first. Warsaw is a route that would fill if there was one carrier, but 2 carriers with daily flights is insane!I hope in this case ASL will drop Warsaw since LOT offers connectivity to North America (usually cheap). I never understood the reasoning of ASL to start Warsaw. Anybody have ideas why would ASL start a route daily with A319 to a route which has minimal O&D and Lot with daily flights. I hope Air Serbia will offer better alternative to WAW passengers going to JFK or YYZ. Once Air Serbia starts flying to USA and Canada, LOT might close their Belgrade route and start codesharing with JU. Lot offers cheap connections to N America and in case Lot closes the route Serbian pax will lose the most. One thing is for sure, ASL will be pricey on the Serbian pax flying direct from YYZ, ORD. They have the right to dictate prices of course so do not attack me, but my point is that Serbian pax flying from point to point will still be using LH,TK,LO and KL since they will be potentially the cheaper options. This is normal actually so I am not hating on ASL, but my point is that pax wanting to travel from ORD to BEG directly will have to pay a bit more than via Istanbul. ASL has used this model already to many routes so there is high probability this will happen again, therefore having Lot is a GREAT asset to us N. Americans who have to pay a lot to travel back to Serbia or any other country in the region. @YYZ, this works only in case that airplanes are full ... and it that case, OK flying direct is more comfortable, faster so it should be more expensive. However, if planes will be half empty be sure that prices will be much lower then TK, LH, etc... simply JU costs will be lower and with some sacrifices they would probably dump prices. Market will regulate this particulat thing. "this works only in case that airplanes are full"
I get what you are saying, but its not always the case. One example of that is TLV ( generally poor loads, 50% somebody mentioned was average for first part of this year)where many times its cheaper to fly from AMS or CDG than from BEG. Anyhow, for now its not even certain that those flights will start, so I feel that I am speculating too much now. Are you gonna tell me that planes to TLV are full? Give me a break. On distance of 900 km ASL can introduce ATR72 for slow months. According to annual statistics for 2014, LOT had 51 passenger per flight on Warsaw-Belgrade flights. Jets E170/E175 ,which are both used on the route, have 70/82 seats, right ? So load factor could be somewhere around 70%. In somewhat related news overflights over Macedonia are up 27.6% during the first four months. Since airspace over kosovo was opened up last year increase is 54%. Interesting there is mention of further increasing overflights by introducing new "flight lines" (not sure what technical term is) anyone have info on this? I can't believe how retarded some people are? Skopje had one 1 new weekly flight (and new charters from Zurich by Germania) but still got 4% growth and you call it bad? This means that the other airlines got a bigger load factor than april 2014! Jos jedan dokaz da pricam istinu da je DUS dobro popunjen . Ajmo SKP ko je ljubomoran moze samo da dalje laje nadam se da ce uskoro W6 stacionirati jedan A321 Ceo. I taman kad ja dolazim potpisan je ugovor sa USA . Za vikend ASL iz Pariza, pun avion, pola u tranzitu..
Who is the operator? Can't be Aeroflot they retired the,? Russian Government? Rossiya? From the photo above it almost looks like the terminal building is on an angle, sinking forward. Beautiful background. go LJU go. OT: Some comments here indicate ASL will drop ORD plans for now and go only with JFK (and probably YYZ). With two planes and three destinations, they could have served them about 3-4 times per week which seems reasonable, but 3-4pw would allow for aggressive pricing from competition. Going to 2 destinations instead of 3 would allow more frequency and probably even daily for one of those two destinations, allowing ASL to "own" every fare search if they want to, including from other regional airports. Going daily in the summer can bring them a lot more revenue, so "less destinations/more frequency" might be a way to go. Or it could be a partner request, fleet shortage etc. ASL has so far listed North American offices only in Toronto and Chicago, so only-JFK rumor could be false or it could be a recent change. Anyway, we'll find out more from DoT application and hopefully from Air Serbia directly! Istina je planira se za sad JFK i samo YYZ i kako sam ja cuo za pocetak bi trebao doci 1 a drugi poslebpred sezonu . Za pocetak dolazi samo jedan a drugi posle odredjenog vremena . Prva destinacija be i onako u Americi a druga u Kanadi . In that case if the plane goes tech, ASL would have to beg EY to transport those pax back to Belgrade or vice versa. I just know one thing, if the across pond flights ever start, two planes will arrive together. This is common sense without "inside info". I think it would make sense to start all three (JFK, ORD, YYZ) from the start, perhaps 2-3 flights per week each. The reason is because that hopefully would stop the well established airlines (lufthansa and friends) from dumping with the objective of ruining JU's transatlantic venture. The other airlines would be rather foolish to dump their yields on three markets in reaction to such a small loss of market share. So what I am trying to say, Air Serbia could protect itself from dumping by other carriers by putting a small capacity on many markets. Reacting by dumping yields by 20% or more on YYZ, JFK, ORD to all of South-East Europe just because a new carrier is flying to those cities a few times per week is throwing the baby out with the bath water. Aleksandar, it would seem logical to start with couple of flights per week to all three destinations, but numbers may show a different picture. ASL will probably choose approach that will make TATL ops sustainable. Za pocetak samo se leti za jednu desttinaciju u SAD i Kanadi . Ali ako hocete kartu za USA mozete je kod mene rezervisati sa popustom . Bravo, I was just about to write something similar. Mene zanima kome INN misli da je zanimljiv. Mali jako si bezobrazan. ...и досадан. Ништа горе него када неко мисли да је духовит и још инсистира на томе. Ne mislim ja nista a i nisam duhovit , nego samo svaki dan dokazujem da ste kratki sa zivcima . The problem with slow growth in SKP is the problem that last year there were nationalistic elections where the flow of passenger grew abnormally, so this year we are overcoming that growth plus new growth. last year SKP result is 31k pax more than 2013 (about 45% growth in one month). Summer months will show the real growth of SKP.